We really appreciate all of the nominations for employee of the month, celebrating the wonderful work our staff do every day. 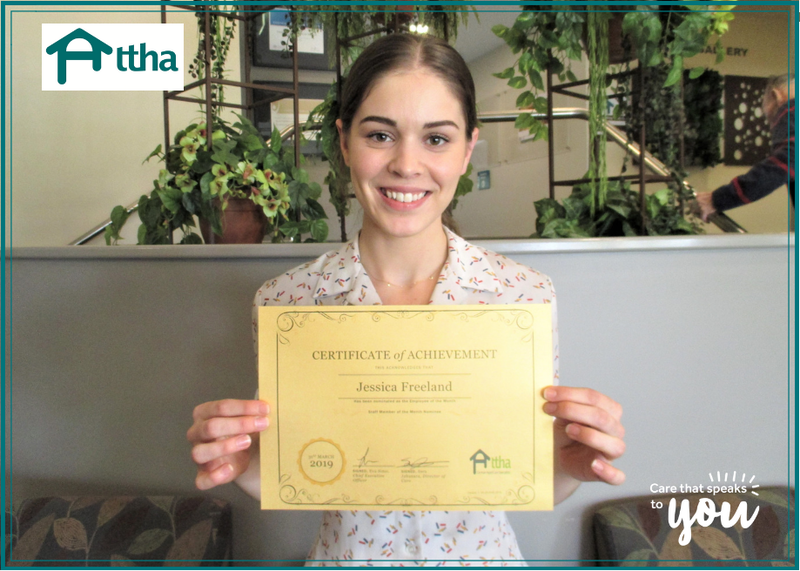 Congratulations to Jessica Freeland who has been nominated as the employee of the month for March. Jessica was awarded for her exceptional customer service, building exceptional relationships in the workplace and impeccable team work. Thank you also to Sherish Azharuddin (RN), Cerie Saunders (PCA), Ayaz Khuwaja (PCA), Linda Kuper (PCA), Beverley Dunn (PCA), Babu Elangovan (Chef), Susi Richter (Community) who were also nominated for demonstrating our values of Trustworthiness, Teamwork, and Humility & Accountability. Keep up the good work everyone.